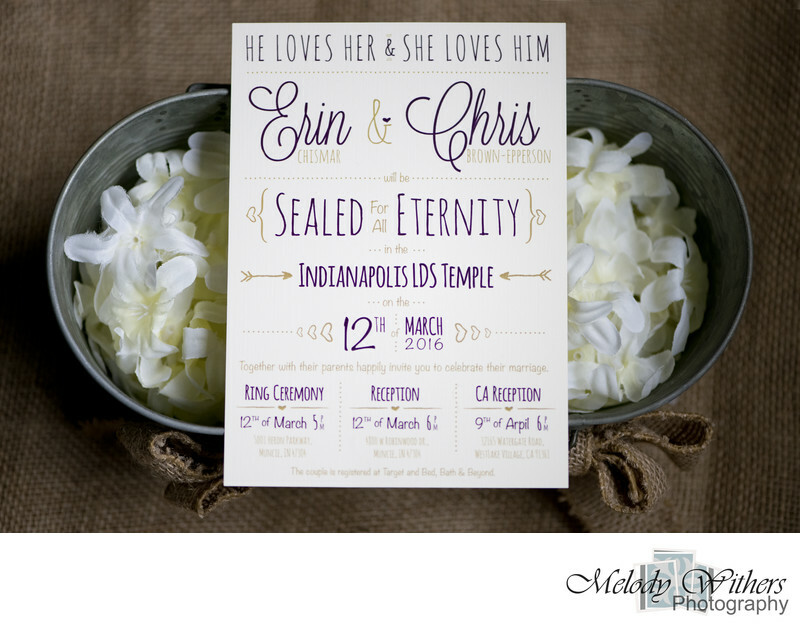 This couple became one in a private ceremony at the Latter-day Saints Temple in Carmel Indiana. They then had a ring ceremony at a club house in Muncie Indiana followed by a reception at the LDS Church in Muncie Indiana. The weather ended up being beautiful even though there was threat of rain. It was a very special wedding and a very special day. Melody Withers Photography captures weddings in all of central Indiana, including Muncie, Indianapolis, Kokomo, Fort Wayne, Bloomington, Lafayette, and surrounding areas. Location: LDS Church 4800 W Robinwood Dr, Muncie, IN 47304.